Funny, Chihuahua, dog, dad or mom T-Shirt. Perfect for any Mom or Dad. A perfect Birthday or Fathers Day, Mothers Day present, or any day year round. Perfect gift for fathers and mothers who have and love their Chihuahua puppies, dogs. A great gift idea for Chihuahua dog lovers, owner, Perfect present for men or women. Chi pals will absolutely adore this unique piece of Chiwawa apparel or pajamas. That’s what Chihuahuas give you on Valentines Day and every day! Chihuahua Heart Valentines Day T-Shirt. Perfect gift for Chihuahua Dog lovers; Chihuahua Mom or Dad. Great birthday presents too. This cool novelty tee will be a staple in your closet for years to come. This one of a kind, unique design illustration of a Chihuahua and hearts. Do not miss out on an amazing opportunity to own this shirt today! Makes for the perfect gift for Christmas, birthdays, Valentine’s Day, Father’s Day, Mother’s Day, graduation, parties, dog parties, and wherever else. 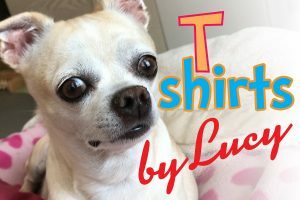 Buy this original Lucy t-shirt at Amazon.com today! Mother’s Day. Valentine’s Day. Birthday Present. Funny, Chihuahua, dog, mom Tshirt. Perfect for any Mom or mommy. A perfect Birthday or Mothers Day present, or any day year round. Adorable Tee Featuring original Chihuahua art, Fans and Lovers of little Dogs and ChiWaWas will love it, Buy one today. Perfect gift idea for friends and family on any special occasion. 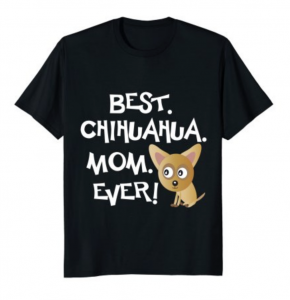 Funny, Chihuahua, dog, mom T-Shirt. Perfect for any Mom, mommy, or mama. A perfect Birthday or Mothers Day present, or any day year round. Perfect gift for mothers who have and love their Chihuahua puppies, dogs. A great Mothers Day gift idea for Chihuahua dog lovers, owner, Perfect present for women. Chi pals will absolutely adore this unique piece of Chiwawa apparel or pajamas. 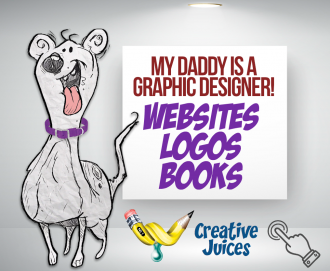 Designed by Lucy and her daddy and available now from Amazon. Mother’s Day is coming quickly! 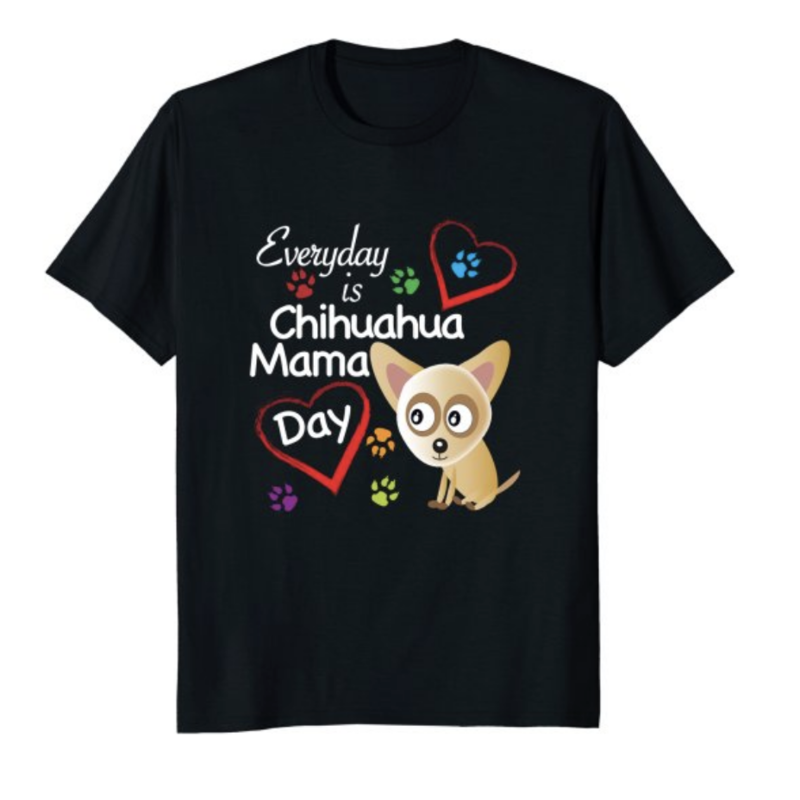 This Chihuahua Mama T shirt is the perfect piece of apparel for you. This Chihuahua Tee is a great gift idea for a family member, partner, daughter, niece, stepdaughter or for a friend that owns and loves a Chihuahua. This shirt is going to make you smile each and every time you wear it! So, what are you waiting for? 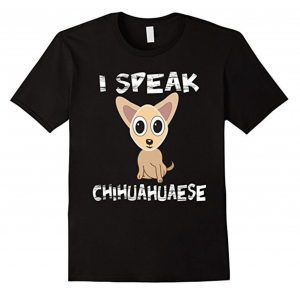 Grab this unique Chihuahua shirt and express your love for your Chihuahua. Great gift ideas for Chihuahua Dads! Perfect Father’s Day or Valentine’s Day gift for dads, uncles, sons with Chihuahuas. Funny, Chihuahua, dog, dad T-Shirt. Perfect for any Dad, daddy, or papa. A perfect Birthday or Fathers Day present, or any day year round. Perfect gift for fathers who have and love their Chihuahua puppies, dogs. A great Fathers Day gift idea for Chihuahua dog lovers, owner, Perfect present for men. Chi pals will absolutely adore this unique piece of Chiwawa apparel or pajamas. Do you consider your Chihuahua dog as your fur baby? Do you have a Chi loving friend or relative? Then this funny T shirt is the right piece of apparel for you. This Best Chihuahua Dad Ever Tee is a great gift idea for a family member, partner or for a friend that owns and loves their ChiWaWa. This Shirt is going to make you smile each and every time you wear it! So, what are you waiting for? Grab this unique shirt and make your friends burst into laughter. Click the image above to view this hilarious shirt designed by Lucy and sold on Amazon. Lucy’s first T-shirt available for sale on Amazon. Designed by Lucy and her daddy. We highly recommend it! Hilarious Chihuahua Dog Owner Shirt. Makes a Perfect Holiday T Shirt. Do you speak with your Chihuahua? Do you understand your little Chi? Really communicate? If you ask yourself this question frequently then this Chihuahua T shirt is the right piece of apparel for you. This Chihuahua Tee is a great gift idea for a family member, partner or for a friend that owns and loves a Chihuahua. 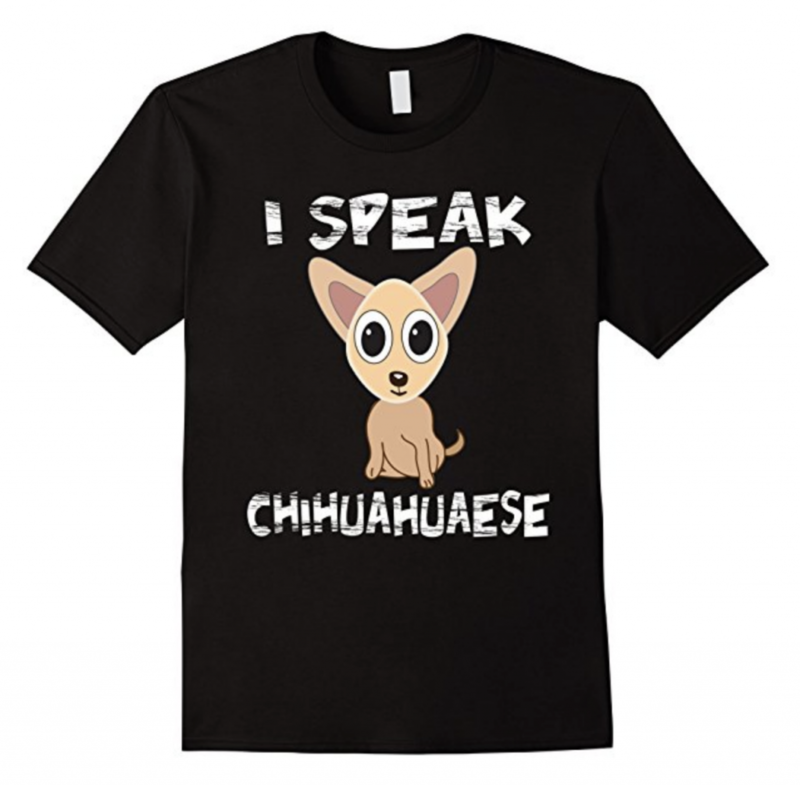 I Speak Chihuahuaese Shirt is going to make you smile each and every time you wear it! So, what are you waiting for? Grab this unique shirt and make your friends burst into laughter. 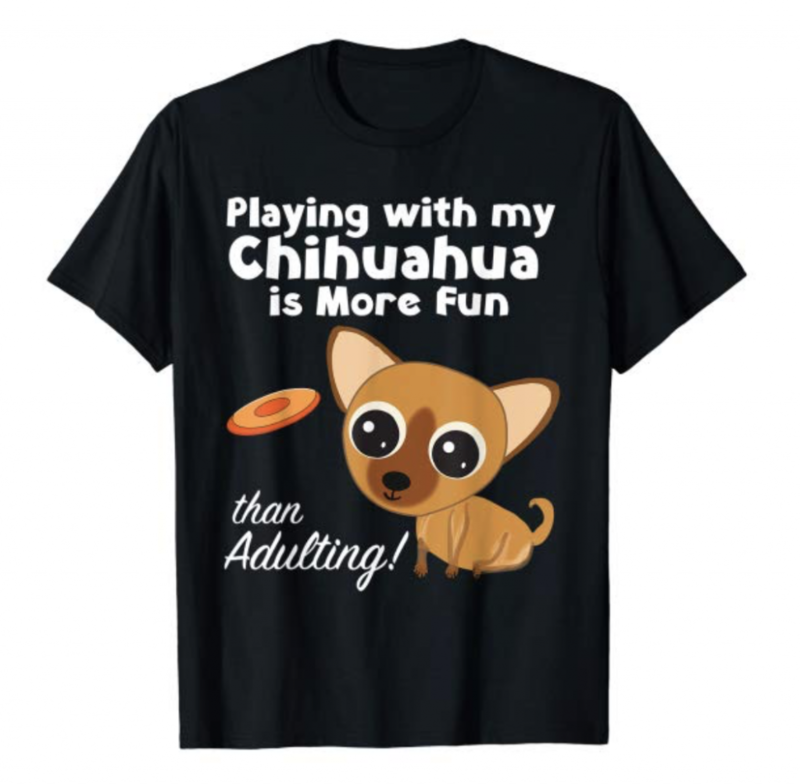 You can wear this T-shirt at Chihuahua events, dog shows, Chi meetings, dog training, dog parks, with other Chihuahua friends and Xmas parties. Great tshirt stocking stuffer item for proud moms, dads, children, and all dog lovers. A great Christmas gift idea for yourself or other Chihuahua dog lovers, friends who talk to their dogs. Perfect present for men, women, children, school kids. Chi pals will absolutely adore this unique piece of Chiwawa apparel, pajamas. Available in five colors. Click here to purchase or click the image above or below. 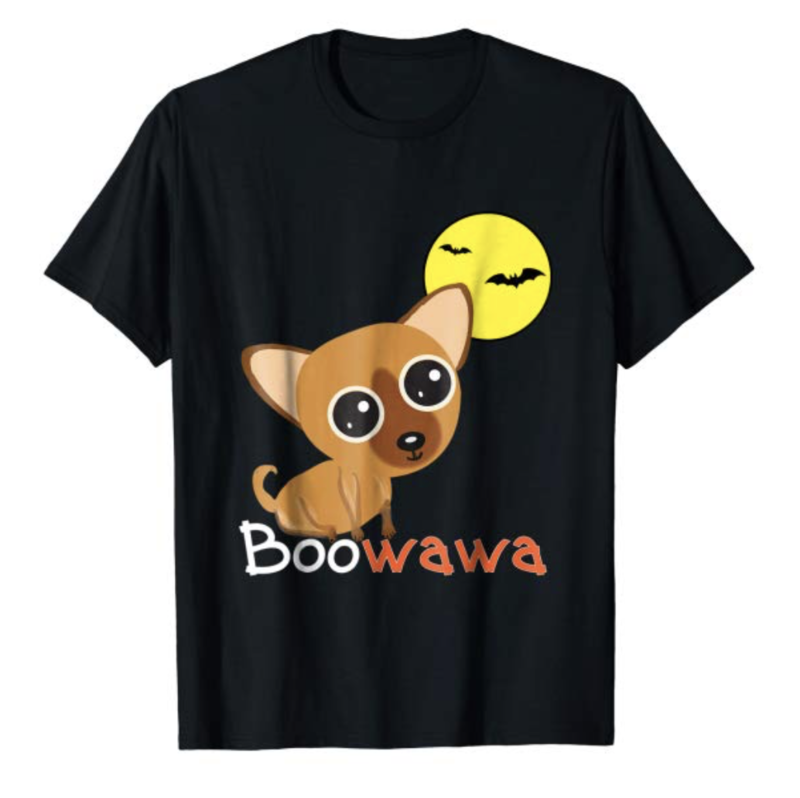 You will love this funny Halloween T-shirt at Chihuahua events, dog shows, Chi meetings, dog training, dog parks, with other Chihuahua gatherings and parties. Great gift idea for proud Chi mom, dad, dog lovers. A great Halloween present for Chihuahua dog lovers, owners, moms, dads, BooWaWa with a yellow moon, bats and Chihuahua illustration. Chi pals will absolutely adore this unique piece of Chiwawa apparel, pajamas, costume. Another great shirt design by Lucy and her dad, available now on Amazon.com. Lucy's first T-shirt available for sale on Amazon.